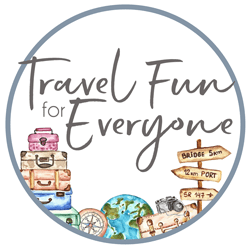 Travel Fun for Everyone | Providing the best travel tips and top recommendations for family vacations. If you are looking for the best Mexican food in the Chippewa Valley, look no further than Casa Margarita. From the moment you walk in, the atmosphere gets you in the mood for some great food! You will immediately see the colorful wall murals and the hand carved and decorated chairs and tables. There is always Mexican music playing in the background which adds to the ambiance. There are three separate eating areas at Casa Margarita. First, is the entry way (pictured above), a larger seating area that surrounds the bar, and even an upper level that looks down on the main floor of the restaurant. Who can not forget about adult beverages when you go to Casa Margarita? Their namesake proves that they have some of the best margaritas in town. They have a wide variety of tequilas and Mexican beer as well. One of the most important things to our family when visiting Mexican restaurants is the chips and salsa. We can honestly say that Casa Margarita has the best! The chips are homemade and often hot when coming to your table. The salsa has a great flavor as well. If you want to add some wonderful dipping choices for your chips, we highly recommend their queso or guacamole. They are the best around! When it comes to the main meals at Casa Margarita, the portion sizes and taste can’t be beat! Below are some of our many favorites that we like to order. I recently stumbled upon my new favorite menu item from Casa Margarita, the Mocajete Degallado Jalisco. I know that is a mouthful to say, but you won’t go home hungry after attempting to finish this! There is an abundance of grilled chicken, steak and shrimp mixed with carrots, broccoli and cauliflower. It is topped with pico de gallo and cheese sauce. It is also accompanied by rice, beans, and three flour tortillas. My son loves to order probably the biggest bang for your buck menu item, the Especial Casa Margarita Fajita. This meal consists of four different types of meat: chorizo, shrimp, chicken, and carne asada. It also contains bell peppers, tomatoes and onions. If you can finish one of these on your own, that would be very impressive! Below is a picture of the sides you get with every fajita order. The fajitas are served with three tortillas, rice, beans, pico de gallo, lettuce, sour cream and guacamole. One of the great aspects of Casa Margarita’s menu is the flexibility that the customer has. My wifes likes to get made to order tacos. She can choose the toppings that she likes, the type of tortilla (corn or flour), and the choice of meat. There is always enough to make two tacos out of one order! My wife loves the tamales of Casa Margarita. The tamales are hand wrapped in corn and are filled with soft and moist pork. As you can see from the picture below, they don’t skimp on the sauce either! The Tilapia Loco is another one of our favorites. The fish is light and fluffy and the vegetables are always crispy and tasty. You can have this meal with or without cheese sauce (queso) drizzled over the top. There is an extensive kids menu to choose from at Casa Margarita. My daughter likes to get the beef soft shell taco with double rice and no beans. It is definitely a filling meal for her. My youngest son loves the mini corn dogs. It comes with a good serving of fries as well. Probably one of the highlights of each of our visits is the waiter who goes by the name of Chongo “El Guapo.” He always has a smile on his face and is very entertaining for our kids. He will often make animal noises from across the restaurant or will even sneak up on them. They never expect it and it is always so fun to see their reactions. Hopefully he will be there when you visit! This franchise is locally owned and operated by Maria Jacinto. Her son Cesar Lopez is a manager of the location and you will often find one or both of them there most nights. We give Casa Margarita our highest rating of 5 stars. Many good Mexican restaurants are in the area that have either good food, tasty drinks, or a great atmosphere. But Casa Margarita has it all. Make sure to stop in the next time you are craving some authentic and delicious Mexican cuisine. Casa Margarita is located at 5110 Fairview Drive in Eau Claire. It is just past Eau Claire Ford and close to the Metropolis Resort/Action City. Situated on the southside of Eau Claire across from Festival Foods, locally owned Red Coal BBQ has quickly become the hot spot for fresh and delicious BBQ in the Chippewa Valley. Red Coal BBQ started off as a small carry-out restaurant on Brackett Avenue in Eau Claire, Wisconsin. It opened its doors for business on July 4, 2017. Within just a short year, the young owners had made a name for themselves and had created a devoted following. Expansion plans came to fruition with the acquisition of the closed Taverna Grill in Eau Claire at 2839 Mall Drive in the summer of 2018. With the move to a bigger facility, Red Coal BBQ can now accommodate patrons to eat right at the restaurant. It has seating on both low and hig-top tables, along with stools around a lengthy bar. It also has beer on tap and a wine selection as well. When you stop into Red Coal BBQ you will not be disappointed if you order the beef brisket. I have now ordered it twice in the past month. It is tender, juicy and tastes amazing. With two sides and a corn muffin, it is more than enough to eat. The pulled pork is cooked to perfection. It is not stringy. It is not chewy. Instead it is extremely flavorful, soft to chew, and easy to swallow. The portion size is generous as well. When you pair it with homemade coleslaw, baked beans, and a corn muffin, your stomach will be full if you manage to clean your plate. My eleven year-old daughter ordered off the kids’ menu and received a generous portion of fries to go along with her pulled pork. She had a hard time finishing all the food. Not enough can be said about the homemade corn muffins! There are other restaurants that sell corn bread or corn muffins, but Red Coal BBQ’s are the best. At most restaurants you need butter to go along with the muffins because they are a little dry. Not at Red Coal BBQ. These muffins are light and fluffy on the inside and have a moistness to them. The taste is out of this world too. My daughter, on one occasion, ordered two corn bread muffins as her two sides. My wife orders one as a side as well. That is how good they are. If we had to give Red Coal BBQ a rating on a scale of 1 to 5, it would be a “5” without question. From the friendly wait staff, to the high quality food and generous portions, Red Coal BBQ is a place that should be at the top of any BBQ lover’s list. I was able to chat with the owner for a brief period of time as it was super busy on a Saturday night. It was great to be able to see a smile on his face as he talked about how business in the new location is off to a great start. We know that we will be back again soon. If you want the best BBQ in Eau Claire, then you need to pay a visit to Red Coal BBQ! (Owner Brian Moskiewicz stands outside Red Coal BBQ). We have traveled around the Gulf Coast and Atlantic Ocean and have always been able to find great fresh seafood. Never in our wildest dreams did we think we would find delicious seafood up in the Northwoods at the Juicy Shrimp Shack. The Juicy Shrimp Shack is located just off of I-94 and Highway 29 near Elk Mound, Wisconsin. It is just a short 15 minute drive from Eau Claire, Wisconsin and a little over an hour from the Twin Cities. There are billboards advertising the Juicy Shrimp Shack on both sides of the interstate as you approach. We weren’t sure what to expect regarding the decor of the restaurant as the outside of the building just has a Juicy Shrimp Shack banner and an “Open” neon light sign in a window on the side of the building. But when we opened the doors, we were impressed with the cleanliness and space of the building. We tried to come at an off time, around 3 PM, so we could get better photos without so many people in it. As you can see from the photos below you have the choice of booths or tables. Each table has a plastic tablecloth that we found was very smart once you start digging into the seafood! Most seafood restaurants that we have been to on the Gulf of Mexico or in the southeast offer tons of fried options. That was not the case here and we were so happy about that. It is an extensive menu and there are a wide variety of choices. There is also a kids menu so if your child is picky about food, there is sure to be something on there that he or she will like. Prices are very reasonable. Now we do want to point out that seafood is not cheap, especially good seafood. So when we saw the menu prices we though they were very comparable to restaurants right on the ocean. Take a look at the current menu as of July 2018. We couldn’t eat at a seafood restaurant without ordering calamari as an appetizer. Calamari is squid, and believe it or not, my whole family loves it,. The squid were lightly coated in breading and were accompanied with marinara dipping sauce. They were not stringy or chewy at all which we have found to be the problem at most seafood places. I barely had enough time to snap the below photo before they were all gone! My wife and I think the sauces are what sets the Juicy Shrimp Shack apart from other seafood places. The sauce choices are lemon pepper, garlic butter, and the juicy house special. Then you can choose on the type of spice level you would like to add. There was tiny spice, mild, medium, spicy, and super spicy. Typically you choose one spice and one sauce and the seafood is prepared with your choices. Since there were so many to choose from, we asked if we could try all three sauces separately and then asked for the medium spice on the side. The friendly waitress obliged and brought them out in separate containers. We came hungry and we are glad we did. There was so much to choose from and everything looked so good. My oldest son settled on the shrimp Po boy and he said it was the best Po Boy he has ever had. The french fries were tasty too. My youngest son had the chicken tenders and sweet potato fries for a small up-charge. I have to admit, those sweet potato fries were some of the best I have ever eaten. We then had to try a variety of seafood. We ordered the lobster and were surprised when a whole lobster was delivered to our table. The meat inside to be fresh and flaky. Our second choice was the shrimp. You have the choice of heads-on or headless shrimp. We chose headless. These shrimp were huge. You just have to peel the coating off before enjoying. I loved to sample all the different sauces and found them all to be great. My wife loved the juicy house special. Our final choice was the king crab. This was probably our favorite seafood selection. The meat inside the crab was moist, sweet, and flavorful. I couldn’t keep up with cracking the crab fast enough for the family! Once again the sauces and spice added to the delicious flavor of the crab. You can see how huge the crab legs are using the lobster as comparison below. We have never thought of a food rating system at restaurants before this experience. But if we had to rate the Juicy Shrimp Shack it would be in our top 5 of the over 30 seafood restaurants we have eaten at over the past 15 years. I know we will be back for a return visit and look forward to the delicious seafood that the Juicy Shrimp Shack has to offer. If you want to see a short video we created about the Juicy Shrimp Shack you can click here. UPDATE: FOR A LIMITED TIME, MENTION THIS BLOG POST AND RECEIVE 10% OFF YOUR BILL!! The entrance to the Pro Football Hall of Fame is not as big as we thought it would be. But driving onto the main road, our thoughts changed as we could see the iconic building with the football stadium in the background. Our adrenaline began to accelerate as we exited the car and walked at a brisk pace to the entrance. Before going in we had to snap a few photos. The first is under the sign of the Pro Football Hall of Fame. The next photo was of the class of 2018 that will be induced this summer. Our favorite team is the Packers, except for my wife who loves the Vikings. So it was cool to see Jerry Kramer of the Packers and Randy Moss of the Vikings with the honor of being inductees this year. That would be super cool to attend! When we entered the building, we paid for admission and then were directed to stand in front of a green screen and pose for various photos. Below is one that I snapped quickly. I was curious as to how they would turn out. The first exhibit that we were able to see was the most extensive football card collection I have ever seen! Pictures were not allowed once inside the exhibit so I snapped the below photo before entering. The value of the cards on display has to be astronomical. It was fun to see the early tobacco cards, and the sets from the 50s and 60s. It made me wish that I hadn’t gotten rid of most of my cards when I was younger. I had some prior knowledge of the history of the NFL, but learned a ton as I went into the exhibit about the history of pro football. I had no idea it started in the Pittsburgh, Pennsylvania area. There were tons of signs and memorabilia tracing professional football back to its roots. If you look at the below photo this was evidence of the first time a player was paid to play. I really enjoyed looking at the decade by decade gallery. It was very informative and I especially liked to read about the formation of the NFL in the 1920s and the Packers dominance in the 1960s. There is so much to see at the Pro Football Hall of Fame. You will find game-used jerseys, helmets, footballs, cleats and so much more in the display cases. The football equipment that is on display usually relates to a record that was set in the NFL. We loved being so close to what the players would’ve worn when they set the records. Below is a sculpture of Jim Thorpe that is located on the first floor. I did enjoy reading about Native American and Aftrican American football players and their struggle for equality in professional football. Our three kids loved all the interactive displays that were available. You could measure yourself against the tallest player to ever play in the NFL standing at 7’1″. There were also two helmets that you and another person can wear to show what communication is like between the quarterback and the side line. One of the kids favorite ones was the replay booth. They stepped behind a curtain and had 60 seconds to review a play and make a call. Then they found out if their call was correct or not. I loved hearing them discuss their calls from outside. There was another area where you could try on shoulder pads that would be worn by an NFL player. My son said they were a little loose and my youngest son could barely keep them up they were so big! Probably the area where we got the biggest laugh was comparing leg sizes. In the below picture our youngest son is inside the leg size of Gilbert Brown, a former defensive lineman for the Green Bay Packers. His whole body could fit into Gilbert’s leg! Another area that was unique was the “design a ring” computer station. My son was able to design the next Super Bowl ring. Of course he chose the Packers as the team to win it all! What would be pro football be with out a little Madden to play? Yup, they had game controllers so you and a friend could play a game of Madden against each other. Our oldest two rushed to this area and played a little bit of a game. When I think of the Pro Football Hall of Fame I think about all the great players who have played in the NFL. I loved the area where the busts were displayed. Each year of enshrinement had its own area where the players’ busts were displayed. The picture below does not do it justice. It is a magnificent room that pays tributes to the players, coaches, and NFL owners. My son and I obviously took pictures of the Packers players that were inducted. Below is a close up of Brett Favre, one of the greatest quarterbacks to ever play the game. There were two different movie experiences at the Pro Football Hall of Fame. The first one we attended was “A Game For Life.” We weren’t sure what to expect as we waited outside the movie theater. When we entered it had a very cool stage with a chalkboard. It appeared to be in a locker room as there were lockers on both sides of the seating area. We were informed we couldn’t take pictures during the show so the below photo is all I have. We were all surprised when a hologram of Joe Namath came out and walked right on the stage in front of us. He introduced various NFL players and how the lessons they learned in football helped them to be successful in life. The best part for me was at the end when a likeness of Vince Lombardi came out along with George Halas and spoke to us. The second video we watched was about the 2017 NFL season. Once again we were not allowed to take photos once the show began. The below photo was an introduction and shows how big the screen was. The first part of the video re-capped the 2017 regular season and playoffs. But then something strange happened, the floor started to move! We were transported to the next screen and it was all about the 2017 Super Bowl. Even though we aren’t Patriots or Eagles fans, we couldn’t helped but to get psyched up for the start of the NFL in a few weeks! We then looked at the Super Bowl Gallery, Trophy Room and other parts of the museum. It was an overwhelming feeling to be walking among so much nostalgia and memorabilia. A visit to the Pro Football Hall of Fame wouldn’t be complete without a stop in the gift shop. This was probably the biggest NFL gift shop that I have ever seen. We spent quite a bit of time in here looking at all the items. We walked away with a mini-helmet, a few shirts, and a Christmas ornament for our tree. At the end of the gift shop is where you could see the photos that were taken at the beginning. We were kind of skeptical as we have been part of a ton of these family photos at other attractions. But we were pleasantly surprised with how they turned out . Below is a sample. Remember that green screen photo of my son and daughter with the Gatorade. Well, check how it turned out. By the end of our stay at the Pro Football Hall of Fame we had all felt like we scored a touchdown. It was an amazing experience and I know I hope to go back when Aaron Rodgers gets inducted into the Pro Football Hall of Fame! While driving into Pittsburgh, my wife noticed cable cars that were moving up and down a hill. She quickly looked up on her phone and found out that it was the Duquesne Incline. Upon doing further research, we found that the Duquesne Incline has been in operation in some fashion since 1877 in Pittsburgh. We knew we had to travel in these historic cable cars before the end of our trip. There is parking right at the bottom of the incline. It only costs $5 if you will be there two hours or less. After paying for parking, you will need to walk up some stairs to arrive at the lower station. Here is where you pay for your ride up the hill. For adults it is $2.50 one way or $5 round trip. For kids 6 and up it is $1.25 one way or $2.50 round trip. We thought these prices were extremely reasonable. After we paid, there was just a brief wait to board the next cable car. The two cable cars that were in operation could each fit 15 people comfortably. We were first in line so we were able to sit at the back of the car which provided the best view as we went up the hill. Below is a picture of my wife and kids in the cable car before going up. There was a series of bells that went off before we began the ascent up Duquesne Hill. Now, I am afraid of heights, so I was extremely frightened as the cable car moved slowly up the long track. But I couldn’t help but look out the window at the amazing view of Pittsburgh. The ride up the hill didn’t take long at all. The cable car didn’t go fast, but it got up the hill at a good pace. As we exited the cable car at the top, we went into the station at the top of the hill. This station was different than the one at the bottom. There was a small gift shop and tons of artifacts and resources to read about the history of Duquense Incline. My wife and I took some time to read about the history, while our kids pulled on us to head outside to look at the view. All I can say is, WOW!” Words, and pictures, can not describe the beauty of what we were able to see at the top of the Duquesne Incline. We could see all three rivers coming together before our eyes. The view of downtown Pittsburgh with the skyline was a sight to behold. In the photo below you can also see a cable car coming up the tracks. It was also easy to spot Heinz Field and PNC Park, home to the Pittsburgh Steelers of the NFL and the Pittsburgh Pirates of MLB. Below is a more close up photo of Heinz Field. If we looked a little left at the scenic overlook we could see the Ohio River and the lower part of the North Shore of Pittsburgh. We really didn’t realize how hilly the surrounding area of Pittsburgh was, but that just added to the beauty of the area. For $.25 you could also use the view finders at the top. My three kids took turns looking through the magnifiers at the area. The Duquense Incline far exceeded our expectations. Learning about the history was engaging, and the ride up and down the incline in the cable car was fun. But the best part of all was the view that we had of Pittsburgh. We know when we come back to Pittsburgh we will definitely be visiting the Duquense Incline. I bet at night the view is magnificent! Click here for a short video of our experience. While vacationing in Pittsburgh we decided to take in a Major League Baseball game at PNC Park, the home of the Pittsburgh Pirates. Below is a summary of all that we saw and did while we were at this great ball park. We stayed at the Springhill Suites which is directly across from PNC Park. It is super convenient and the rates weren’t too unreasonable for a hotel so close to the ball park. Below is a view of the outside of PNC Park from the parking lot of the hotel. Before the game started, we walked around to the front of the stadium to see what it looked like. It had a statue of Honus Wagner, a legendary Pirate, welcoming fans. We also walked around to see the left field gate where a statue of Willie Stargell is present. We chose to enter through Legacy Square. There were banners on display highlighting some of the famous Pittsburgh Pirates throughout the years. It was a nostalgic entryway for baseball purists. As we went up the concourse, there were some breathtaking views of downtown Pittsburgh. Below is a picture of one of the bridges that crossed the river. There was a statue of Bill Mazeroski right off the river walk as well. He was famous for his walk-off home run in game seven of the 1960 World Series against the Yankees. It is a statue of pride for the city of Pittsburgh. I have been to several MLB stadiums and PNC Park, by far, has the best interactive kids area to date. One of the cool features was the miniature baseball field. As you can see from the below photo, kids were playing a game on the field. It looked like a lot of fun. My kids also enjoyed the baseball teeter totter. When they went up and down the baseballs would move inside the clear tube. Another neat feature were the measurement areas. You could measure yourself next to MLB baseballs, bases and even feet! My youngest son was 15 baseballs high. There was even a small playground with slides and places to climb. We spent a good 20 minutes just exploring and playing. We knew that the third base side were the best seats for a view of the riverfront, but did not expect the beautiful vista that awaited us. When we got up to our section, the view of the buildings, bridge, and river was unbelievable. We knew we had chosen great seats and they were some of the cheaper ones in the stadium too. Since we arrived early, we walked around the stadium and snapped a few more photos. The below one is from the outfield area. As the game was about to start I wanted to get a picture of the first pitch of the game. You can see that image below. I couldn’t believe we were watching a baseball game in downtown Pittsburgh with such a breathtaking view. When you go to ball parks there is always the traditional hot dog and hamburgers. Every MLB ball park has these staple foods. But when we travel, we like to try the local fare. Being in Pittsburgh, we knew we had to try the famous Primanti Bros sandwich. It consists of two slices of white bread, choice of meat (beef, turkey, or pork), tomato slices, and provolone cheese. But what separates these sandwiches from all the rest and the next two ingredients: coleslaw and french fries. It was delicious. I probably wouldn’t eat this every day (did not look at nutritional value) but you have to try one at least once in your life. The next local favorite we had to try were the Chickie’s and Pete’s famous crabfries. Even though the name implies “crab” there is no crab meat present. Instead they use Old Bay seasoning associated with seafood on the crinkle cut fries. There is also a side of white cheese sauce that you can use for dipping. We liked them as well. The Pirates ended up losing to the Arizona Diamondbacks 3-0, but that was not a downer at all. We had a great time playing, walking around, eating the yummy food, and taking in a MLB game. If we are ever back in the Pittsburgh area, we will take in another game at PNC Park.